Knock Out Dock Doors are designed to handle the roughest impacts from forklifts and other warehouse equipment without damage to the door. 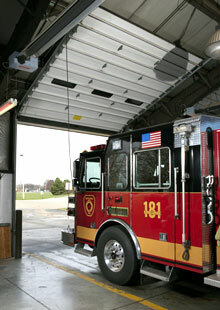 They provide a long life of operation without incurring the costly repairs for damaged door panels and door tracks. They are ideal for your high traffic loading dock door.